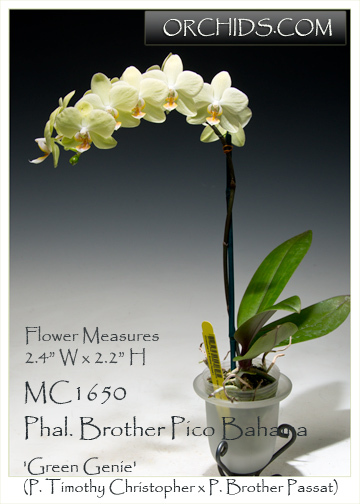 One of our most favorite hybrids in yellow multifloral minis, this particular clone was hand-selected from a seedling population at the famous Brother Orchids nursery ! The pod parent, Phal. 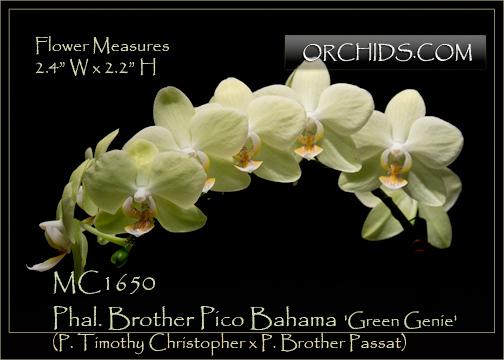 Timothy Christopher, brings its multifloral habit to this clone while the pod parent, Phal. Brother Passat, brings diamond-dust textured soft yellow flowers. Long lasting flowers with excellent substance cascade over a compact leaf span. Excellent for windowsill and under-lights growing !